Here is it is. 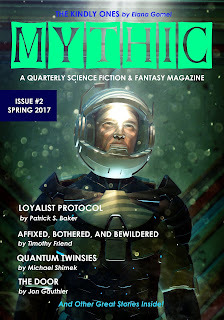 The cover to the second issue of MYTHIC. Thanks to all who submitted stories during our first reading period. We had so many good stories it was tough selecting those that would appear inside. At this time, we would like to update everybody on the status of Issue #1 which is very close to release. While we are slightly behind schedule with our first issue, it isn't by much. Thank you again for your patience as we launch this debut publication. Subscribers you will start seeing your first copies very soon as well. Again, we want to mention that for those interested in other ways to support our new endeavor, please consider donating using the button on the site or becoming a patron via Patreon. 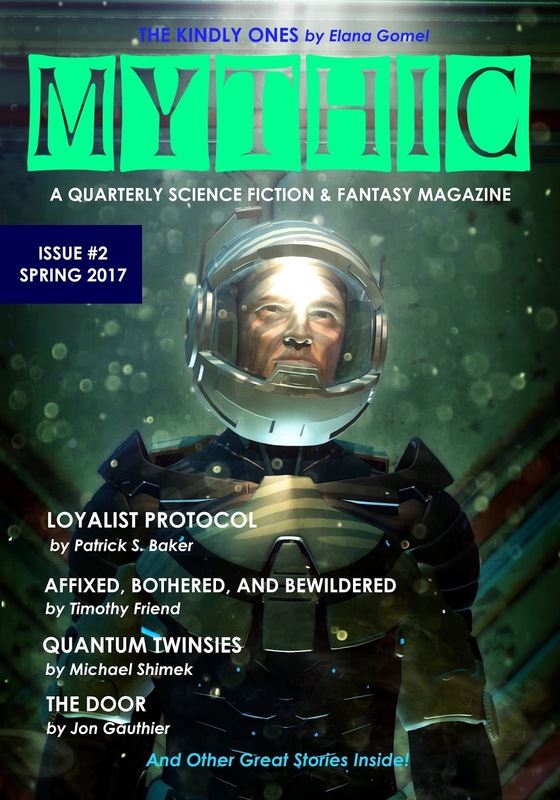 This will help us getting the funding we need to pay authors better rates and make MYTHIC a better magazine for everyone. Plus, you get rewards for your generous support. Check it out!